Peralta’s Adult High School Special Enrollment Program provides enrichment opportunities for adult high school students who can benefit from college level instruction. Each college may admit a number of adult high school students in the GED or high school diploma program who have exceptional ability, or who desire specialized or advanced training. Such admission must be with the recommendation of the high school counselor and principal. **Other high-school students may be admitted on the basis of a contractual arrangement between the District and the high school of attendance (PCCDBP 5010). Adult high school students enrolling in a College Level course must meet assessment requirements. The student must follow all the regulations and policies of the college, including adhering to any prerequisite requirements. 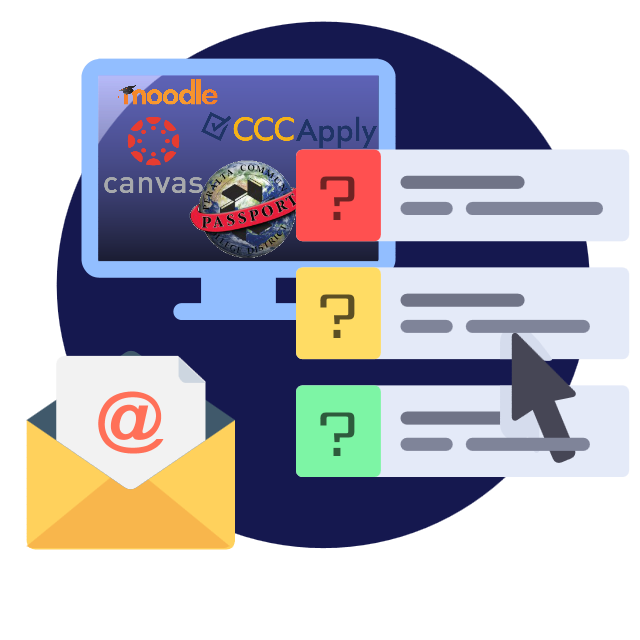 It is recommended that the student brings an adult high school transcript to assist the college in determining the correct level of courses. Special part-time adult high school students are exempted from paying the California Community College enrollment fees and all other fees. 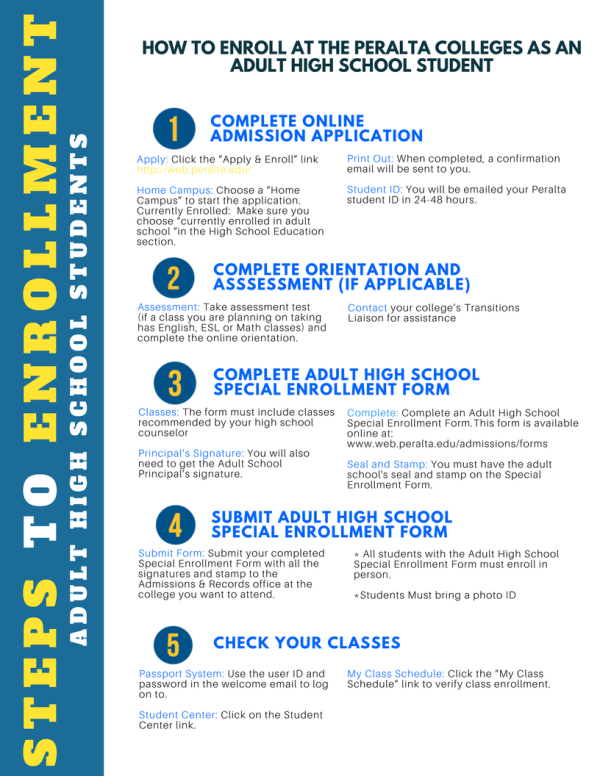 Adult high school students enrolled in more than 11.0 units are required to pay enrollment and all other mandatory fees (see the current Peralta Colleges class schedule for current health, campus use and transportation fees). 1. Remedial work (any classes in any discipline that are not college level and cannot be applied to an associate degree or higher). Remedial course numbers are generally 250 or higher. Check the college catalog for courses that area degree applicable. 2. Work to make up for failed high school or middle school classes. 4. Any class that can be taken at a local high school.